Elena is a film by acclaimed Russian director Andrey Zvyagintsev. It premiered in the Un Certain Regard lineup of the 2011 Cannes Film Festival where it received the Special Jury Prize. It's a cold, slow paced, suspenseful drama that follows the title character (Nadezhda Markina), a woman in her 60's from a modest background who shares an upscale Moscow apartment with her wealthy husband Vladimir (Andrey Smirnov). With a great attention to detail and deliberate camerawork, the film opens at daybreak showing long and mostly static takes of the luxury flat during Elena and Vladimir's early morning routine. At first we are unsure of their relationship because they sleep in separate beds and Elena's role seems to be more of a maid than a spouse, but everything starts to become clear when they finally speak at the breakfast table. Just like with the beginning, the remaining details of the story are expertly unveiled through a sequence of events captured with picture perfect cinematography by Mikhail Krichman, accompanied by a surprisingly effective score from Philip Glass, perhaps because it is so sparingly used only at key moments in the film. What results is an atmosphere that fuses a harsh look at contemporary Russian life with some of the hallmarks of a classic noir thriller. Every precise shot, location, sound effect, and every word of dialog not only reveal the story and round out the characters but also highlight the wide contrast and disparity present in Russian society. Also on display are the lives of the younger generation, and it's interesting how Zvyagintsev chooses to portray them in equally unflattering terms. 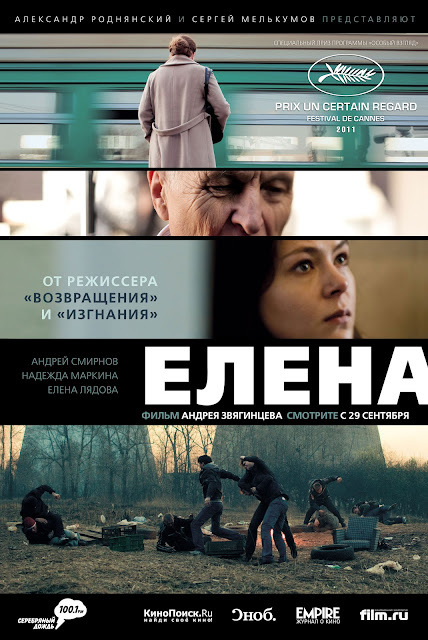 Elena's son Sergei (Aleksey Rozin), is a poor unemployed man who lives with his family in a rundown project apartment next to a nuclear plant, that looks like a depressing holdover from the communist days. Relying on his mother's pension to bail him out, it seems Sergei's only responsibilities are playing video games with his teenage son and making more babies with his wife. He's not an unique case though, Vladimir's party girl daughter Katya (Yelena Lyadova) is just as spoiled and also relies on her father's money to enable her privileged lifestyle. There's a certain irony that both Elena and Vladimir are quick to point out the unhealthiness of the other's relationship with their parasitic children but also fiercely defend their own bonds of blood. Nadezhda Markina is wonderful, balancing out her complex role perfectly as a doting wife and caretaker who is much smarter than her education and past would proclaim. Not overlooking the rest of the cast who are very good as well, particularly Yelena Lyadova who gives a remarkably layered performance for the little screen time she gets, and her one father daughter scene with Andrey Smirnov is the highlight of the film. 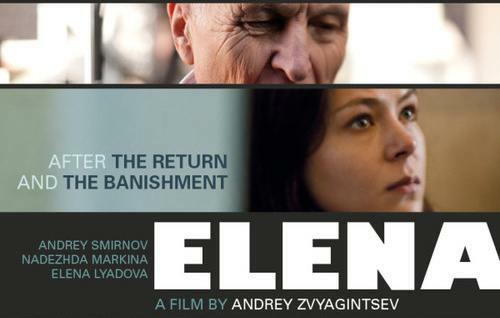 Elena is a quietly simmering and intelligent tale crafted with meticulous detail that provides a window of understanding into the state of modern day Russia and a showcase of Zvyagintsev's sense of cinematic style. A memorable and thought provoking film that shines as one of the highlights of the year. 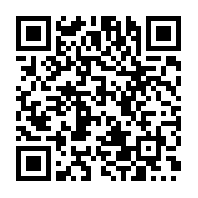 The images are quite evoking, and so is your rating. Good review! Thanks. What Russian films do you recommend? Looks very good! I thought I was quite versed in Russian film, but apparently just with literature. You brighten my ignorant darkness every time I come here. I haven't seen either of his previous films yet, but will be seeking them out after this one. You are right, there is a little bit of a Tarkovsky feel to it. Haha well maybe consider my latest post. I didn't notice that right away, but you are right. Yeah you nailed it. Slow but surefooted. An excellent one that could make my top 10 of the year. Mmm, you know I'd actually like to see a warm Russian film, not a cold one. I'm gonna be waiting for this one. I get the impression that it moves slowly but keeps your attention. Even if I'm wrong I'll give it a watch, I'd like to see where it goes. Looks great! Thanks for putting this one into light for me! A grim look at modern Russia as well! Great review with evoking images once more! You might find thi film about contemporary Russia interesting.